I think the game is very beautiful. Does anyone play the game meadow? You start as a badger cub with the possibility of collecting other animal forms. It's kinda like TOF. There's no chat or much competition. I'm pretty sure there is not a art/rp kind of community forums for meadow though. I like that so many roleplay and draw art of their deer here. I want to be part of this, even though my writing and drawing skills are mediocre/lame. It's amazing what detailed and well coded profiles people set up. 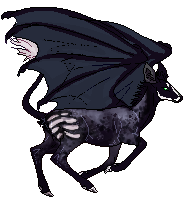 Whenever I used to play this game along time ago ( I had another account as well) I'd often have fantasies and concepts about my deer creature and their origins. I'd really enjoy just running around and getting new masks, antlers and pelts from other deer. Maybe I'll go do that again someday. Seeing masked other worldly deer dance close to huge mushrooms was something I was particularly impressed by. There are so many things I want to get into, get better at and have fun doing. Such as writing, art and digital art. I think this might just be another empty thing that leads to almost nothing creative or worthwhile for me. I just wanted to say this game and community is made by talented people. I guess I plan on playing once in a while, and sketching deer. Hopefully I'll get inspired/have fun I guess? Idk sorry for the rambling.